Here’s some photos from the Commemorative Screening of Braveheart at the Dominion Cinema yesterday as part of the Edinburgh Film Festival. It’s difficult to tell which seems longer ago, Braveheart or Bannockburn. Back then everybody thought independence was a pipedream and Mel Gibson was a nice guy. As Joyce McMillan writes here (‘Independence is not about the past‘), despite sustained efforts to confine and re-frame the independence movement as ‘Braveheart nationalism’, all that reduction does is expose the shallowness of the analysis. The event provokes three different thoughts. First what a very fine cast who have all gone on to do incredible things in the intervening time. Second, their all conspicuous in their political support for Yes. That doesn’t tell you anything about Braveheart, the movie / the phenomenon, that’s not what I’m talking about, but it does tell you something about our most talented, most successful, most creative people. Third, on reflection it tells you a whole lot about the ongoing travesty that is our own indigenous, sustainable film industry. How many films have been made here in the last twenty years that recruited from here, were filmed here and made a big hit? Too few. All images thanks to © Ivon Bartholomew. Multi-award winning Scottish actor and director, Peter Mullen, plays a veteran soldier in the film..
Actor/director David MacKay, also known for My Name is Joe and Ae Fond Kiss. 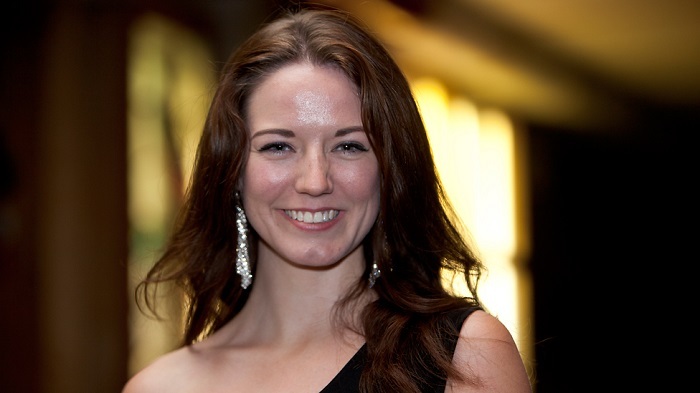 Mhairi Calvey plays Wallace’s wife as a little girl, opposite James Robinson and Andrew Weir in the film. Glasgow-born David O’Hara plays Wallace’s trusted friend, ‘mad Irishman’ Stephen, in the film. “It’s my island” he says, speaking of Ireland..
Angus Macfadyen played Robert the Bruce in the film. Dundee born actor Brian Cox CBE plays Wallace’s one-eyed, facially scarred uncle in the film. Hi, just to say Brian Cox played Uncle Argyll in the movie, not Wallace’s father. 20th Century Fox asked me to host the event and the Q & A panel session featuring Brian, Peter, Angus and James Robinson, who played young Wallace. He’s now an adult actor as is Mhairi Calvey. I’ve known James and Mhairi and Andrew Weir, who played young Hamish, for twenty years. They are great people and owe in part their success to this film. The event was fabulous and Peter had the audience in stitches with his stories of facing the 100 galloping horses. All of them were open in their praise of Mel and the way he treated his actors. Anyone who worked on the movie spoke of him fondly, despite his bad press. 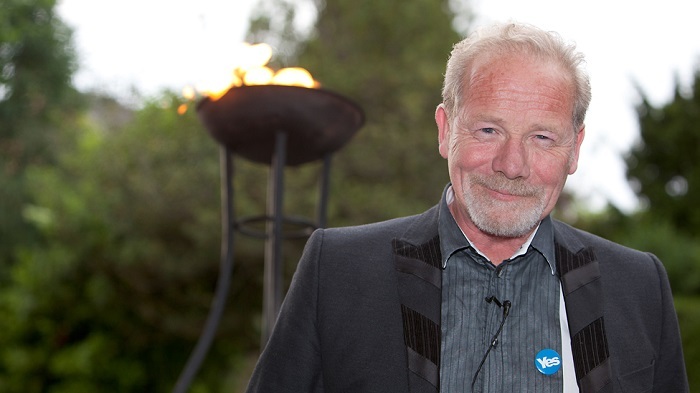 I was asked to host because I wrote the only book on the making of the movie, and its impact globally and in Scotland in the run up to Devolution, Braveheart – From Hollywood to Holyrood. Elspeth King curator of the Stirling Smith museum, who helped bring Blind Harry’s Wallace back into print was also there. Blind Harry’s epic medieval poem of Wallace was the main source for the film and mirrors it very closely. It was great to see the Yes badges but as both Peter and Brian said, Braveheart was just a movie, the 18th Sept is the real thing. Hi I was there at the Dominion theatre and would like to thank Lin for hosting an amazing evening and to thank her for giving me a sighned copy of her book at the end of the evening . I know the so called British intelligentcia and there slack jawed followers hate the film but seeing it again on the big screen you would have to be stone cold emotionless not to get something good out of the film. Thanks for the inside story Lin! I never realised the film was based on Blind Harry’s Wallace. A good rebuttal when people start deriding Braveheart. If it was such a bad film why has it been screened so often? And why is it known worldwide? And why do so many unionists delight in throwing it in our faces? Seems as if it wriggled under a few million skins and left a lasting impression – surely the mark of a pretty good film. Braveheart ran continuously in cinemas in Scotland for nine months and for eight months in England. It was attacked by the establishment because it was powerful and because it had great one liners which echoed the situation politically in the run up to Devolution. One thing that struck the audience at the special showing was how the dialogue echoed many of the present day political arguments in the run up to the referendum. Apart from that it has lots of funny tongue in cheek Scottish humour. And a great soundtrack, a version of which was used for the BBC coverage of the reconvening of the Scottish parliament. Also the former soldier who carried in the mace when the new parliament opened was told not to wear his Black Watch tartan as it was political at the time, as the UK army was getting rid of regiments. He ordered himself a Braveheart warrior tartan kilt and wore that instead. An Englishman he was too. I just love that story. Lots of stories like that detailed in the book, plus messages by email from round the world. One from Iraq where frightened people watched Braveheart in a bunker to give them courage as Shock and Awe was released on them by UK and USA. The wee guy versus the big guy was the message people took from the film and Never give up. Braveheart portrayed the Scots as backward and unsophisticated – plucky, chippy underdogs up against the sophisticated English. The costumes alone told you that. In fact Scotland was a successful mainstream European Kingdom created over the two centuries prior to Wallace by the very effective Canmore dynasty. If that had not been the case the English would have conquered Scotland as they did Wales and Ireland, neither of which had absorbed the wider European developments which would have given them a robust basis for resistance. Brave heart was the worst expression of the Scottish cringe. It endorsed the 200 year old view of ‘British’ history that Scotland was a poor backward failed state whose destiny was to be (plucky interludes aside) eventually absorbed by England en route to England’s civilising of the world and it endorsed the victim mentality of some Scots. 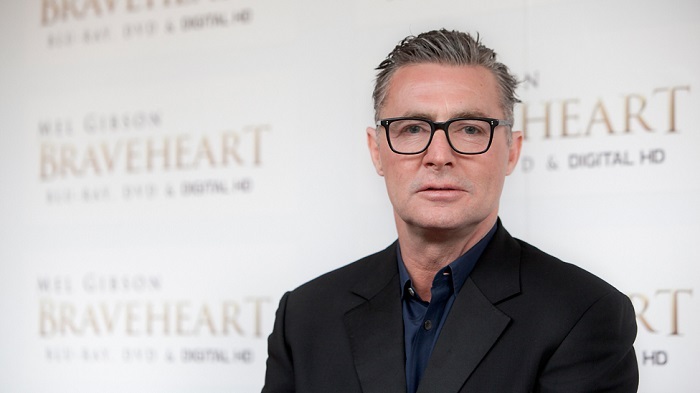 Brave heart was a patronising film about failure and bitterness which did not represent in any way a country which has for 1000 years been a success, and which for significant periods within that has been a global influence. Independence is about shaking off the Braveheart cringe. Braveheart is the typical, cliche ridden kitsch churned out by the moronic US entertainment industry. Shout at me if you wish but I liked the movie ( as a movie). I can tell the difference between fact and fiction. Is a movie with historical errors worse than Scottish history NOT being taught in schools for decades ( if not longer) ? However the movie has nothing to do with my desire to build a fair Scotland. A Scotland that creates opportunities – including movie making! If Scottish history was taught in Scottish schools in a way that reflected the positive non anglocentric development of Scottish historical writing over the past thirty years then the bairns would have laughed Braveheart out of town : not because of the poetic licence of the film’s factual inaccuracies, but because they would not have recognised the woad painted nutters wi’ nae erse tae their breeks as their forebears. “If Scottish history was taught in Scottish schools.” It`s not. Your polemic agains Braveheart seems a little over the top, it is just a Holywood film, find something in the big wide world thats worth your outrage. I liked Lin’s story about the mace-bearer being forbidden to wear Black Watch tartan. Did anyone else not think it strange that, this year, the Earl of Wessex chose to attend Trooping the Colour decked-out like an extra from Brigadoon? Alex Salmond waves a saltire at Wimbledon, cue Daily Mail outrage. A Royal Prince wears the kilt to Trooping the Colour, no comment!! Is the Establishment trying to keep we Sweaties onside or something? A wee anecdote. My Swedish born kids saw Braveheart for the first time while we were visiting my sister in Banavie 16 years ago. They were all visibly moved by the emotional ending especially four year old Emma who, with tears rolling down her cheeks asked, “dad, where does Derek come from?” Derek is a close family friend from Sheffield. It’s a film. It’s not a documentary. Nice to see folk ain’t taking themselves too seriously or anything. Jeez-o, a lot of it was made here; it employed a lot of Scottish crew & cast. That’s what matters – not its historical accuracy (although the idea that Scotland was regarded as more than a back-assward hicksville country is off-target). True at one level, David, but it’s not just a “film”, it’s a particular kind of film, ie, a Hollywood film, a film full of the mildly fascistic values common to the Hollywood cinema…. Lots of men fighting, in this case wi big swords, which is what real men do, right?. The hero as central to shaping history…. Anti-intellectualism, anything resembling a thought, any expression of culture forgotten, overlooked or eliminated or else simplified beyond parody. Above all, it’s kitsch. It coats life in this sugary, cheesy, folksy “it will be all right in the end” kind of philosophy. It denies the existence of death and the complexity of life. It has a message, and the message isn’t “freedom”; the message is “carry on sleep walking, folks, everything is hunky dory”. It doesn’t make you think, it puts you to sleep. It’s no better or worse than most other Hollywood films in all of these aspects. Did you actually watch Braveheart or did you just read a critique by some other poseur . I think anyone who loves films would preffer to see what Kurosawa would have done with Wallaces story. He made Throne of Blood which was based on Shakespeare`s Macbeth. Historically inaccurate but it was just a film/play. “Braveheart” is NOT just a film. If it was “just a film”, there wouldn’t have been a screening the other night and Bella wouldn’t be running a story on it. “Braveheart” is seen by vast number of pro indie people as a symbol of something. For me it’s a symbol of the total decadence of successive Scottish governments film policy. A Scottish director would have made a film about Wallace decades ago if we lived in a normal European country. Scottish film audiences are so totally unused to seeing somebody telling a story from a Scottish point of view in the cinema that they are swept off their feet by it. Anybody who doesnay like it is “British establishment”, according to you, right? The main message of “Braveheart” in terms of its broader meaning for me, is that “we are too wee, too poor and stupid” to tell on our own stories on film. We need somebody else tae dae it…. El Cid covers the same topics as Braveheart ,do you despise that film as well. Too pedants of history Braveheart will always be an insult.Too lovers of film and storytelling it’s a wonderful addition. And the argument about us wearing woad and being barearsed scruffs is one of artistic license.I saw it as differentiating the outlook of the opposing factions. The Scots..Don’t judge a book by its cover. Every time I hear people getting off over “Braveheart”, it just reminds me how totally supine and defeated this culture of ours is, particularly our film culture, aided and abetted by the Scottish government and Creative Scotland and their The Lowest Ever Film Budget in the History of European Film…hats off guys!!! Was Fiona Hyslop at the “Braveheart” screening the other night? 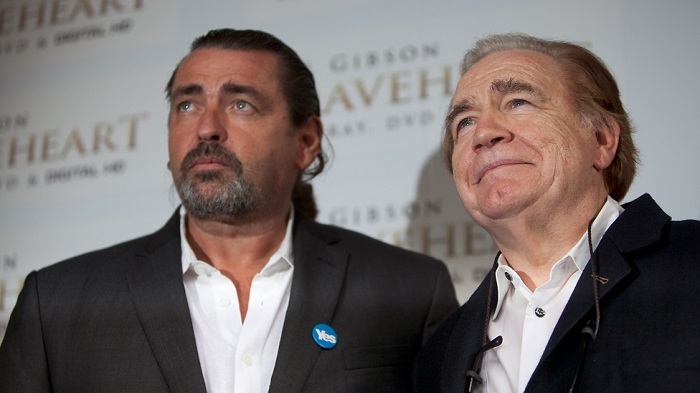 No doubt somebody from the SNP was there…the more they talk up “Braveheart” the less they do for indigenous Scottish film, it is totally hypocritical. Let’s say it again. Three million quid for film in Scotland? A JOKE!!! Creative Scotland instead of a stand alone film agency. A TOTAL JOKE!!! So many Scots are so completely colonized that when you get a Hollywood studio and an Australian director coming over here to make a travesty of a film about possibly the greatest Scottish historical figure of them all, one of the great stories of Scotland and of Europe, these colonized Scots are HAPPY about that….they lap it up!!! That is what you call the colonized mind. And with the constraints on budgets and the manipulation of attacks on the SG to spend money on other areas,away from areas that need it,for political gain.What chance any industry until we can use the full fiscal levers of an independent country to promote them? All of the Scottish governments since the first Scottish parliament have been scandalously unambitious re Scottish film. We still don’t have a film studio, which beggars belief…. As for the film budgets etc, film should be much more of a priority than it is, in line with the rest of Europe. Mel probably spends 3 million on lawyers fees a year alone. There are plenty of models out there like Denmark for example, and the total Catalan budget for film was 20 million Euros just a year or two ago. There’s no space to go into it here in detail, but the arguments have been made and ignored many times. The attitude of all Scottish governments, this one included, and Creative Scotland – who just commissioned another report into film, for the nth time – to Scottish film making is a total scandal. Why is it that all the other nations of Europe get to tell their stories on film, but in so many occasions, we don’t? It’s parochial and sterile and betrayal of Scottish film-makers, and the underlying assumption is that Scotland doesn’t make films, that is what they do in France and the USA. Why don’t we make films? It’s because we’re “too wee, too poor and too stupid”, right guys…? Anyhoos,you can rant all you like and try to make Scotland out as cultural backwater only fit for pondscum all you like,the evidence proves you’re wrong. And while you’re doing that,rest of us are doing something about the inequality we see in major investments in England and Wales,we’re voting YES. All good stuff to the debate. Eh did a wee blog back in Feb aboot the Braveheart effect. The filum did hae a influence on me. In a positive manner and if people can tak inspiration fae it. Then that’s good. The Scottish government / Creative Scotland spends about the equivalent of 50p per person on Scottish film. You could raise more than 3 million pounds for the Scottish film industry by going round the pubs wi a collection can on a Friday night. You couldn’t piss in a pot with three million pounds. It is an insult, at least I take it as an insult. Is there a Scottish nationalist out there who actually supports Scottish film and believes in a Scottish film industry, which is to say, one that doesn’t despise, doesn’t disdain, doesn’t pour contempt on Scottish film, like Fiona Hyslop, Alex Salmond, and Jane Archer seem to do? The Cezch New Wave, Italian Neo Realism, the French Nouvelle Vague, Cinema Novo do Brasil….all of these NATIONAL film movements were backed and promoted and financed by NATIONAL governments. But the Scots? The kistchy, tartan and heather, whae’s like us, torch carrying, indigenous language hating Scots….they dinnay dae film, for all that it was a Scotsman who invented television. It makes me want to abstain on the September the 18th, like many Scottish film makers I bet. Ye can shove yer Braveheart cult where the sun don’t shine…. And was filmed on location in Ireland? A properly funded film industry for Scotland: It’s Time To Get Above Ourselves…. I read Christopher’s piece, I thought it was excellent. Ghandi , English director,English star,written by an American Financed by an English company ,some of it filmed in England. Douglas stop writing about films and get out and watch some , make your own mind up and do not be a slave to someone elses ctritque. “El Cid” was a big favourite of Franco, so I don’t know if you want to carry on with that comparison, and no Spaniard today would take it seriously, as no Scotsman will take “Braveheart” seriously a few years down the line. As for “Ghandi”, it was severely criticized by people like Salman Rushdie for being a British-centric account of the great man himself and the struggle for Indian independence, which is precisely the point I am making…it’s not an Indian account, it’s a British account. There’s nothing wrong with enjoying “Braveheart”. Just don’t tell me it is a Scottish film. It isn’t. It’s much more a symbol of our dependency than our independence, a dependency on outsiders to shoot films about Scottish subjects. I don’t know why any nationalist would disagree with that. It’s great you liked the film, there’s nothing wrong with that, but it’s a Hollywood film, not a Scottish film, that’s all I’m saying. If you ever make it in film,stick to melodramas. Satire and irony are not your strong points. Obviously I’ll keep you in mind as a gag man if I see an opening given your sparkling line of wit…. And the only people who “make it” in film, are high profile actors and directors. For 95% of people like me who work in the film industry, it’s a job of work. Bella, I’ll be sending you an article next week about Scottish film. The fact is lots of people in Scottish film who feel equally outraged as I do, but because they are reliant on Creative Scotland, they are feart to speak out. Fortunately I am not reliant on Creative Scotland and would never make an application to them if I could possibly avoid it, and it’s about time somebody spoke out. The long term, chronic underfunding of film in Scotland is a national disgrace, I can’t think of any Scottish industry which has been so totally slighted by our politicians. Carry on with the torch lit processions, and the re-enactments of ancient battles, guys. No what’s important is,no matter what field you’re in,working towards improving that disciplines footprint.Do you think it’s the fault of the SG if there’s not enough pocketmoney to go round?Do you think money should have been taken from the new maternity and cancer centre in Aberdeen?Do you think they shouldn’t make the A9 safe by dualling it? There are plenty industries that see if they need something,they go out and raise the funds to do it.A new studio is being proposed at Cumbernauld,is this not to your liking? Channel your anger where it matters. The real source of our problems..being shackled to a system in Westminster that ignores us and our ambitions. As ‘epic’ movies go, where symbolism rises above anything else, Braveheart is a fine film. I didn’t hear the kind of preposterous slander and slurs “Douglas” indulges tossed at Master and Commander, Elizabeth I, or Zulu, all dramas based on historical incident divorced from the original histoirical record but with enough veracity to satisfy. And it has a great theme tune. It’s not documentary elements correctly ignored that annoys opponents of Scotland’s democracy, it’s what the film stands for that puts the fear of death in them. Here’s the story from Variety, the film trade magazine which I occasionally write for, and which mentions the “Braveheart” screening and gives an account of the latest in a very long line of summits, reports, conferences, fact gathering meetings, feedback sessions etc about Scottish film. I didn’t attend this latest summit because you had to pay to go to it, otherwise said, pay for a delegate’s badge at the Edinburgh Film Festival, and I have been at such summits before and nothing ever seems to come of them.. The problems of the Scottish film industry are clear enough, and the comments of the Scottish film makers in the article chime with my own. To have, on top of this, the Braveheart Cult celebrated sticks in the craw frankly, and by SNP supporters who have cut funding for Scottish film, even more so…. 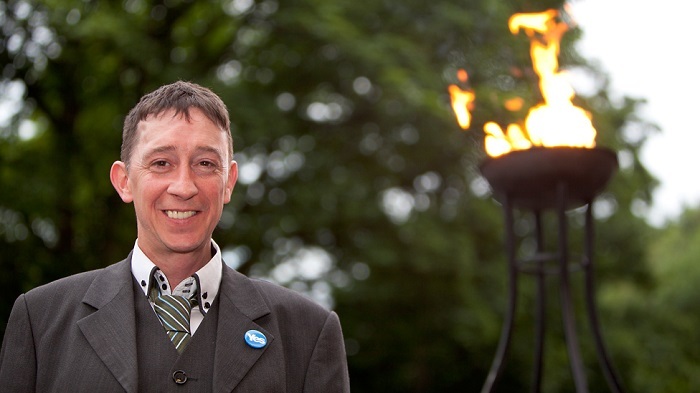 Why would a Scottish filmmaker vote for independence? The only way he or she can get their film made is by going cap in hand to London…patriotism is all very well, but it doesn’t put food on the table. The SNP say almost nothing about film in the White Paper. Is anybody remotely bothered outside of Scottish film-makers themselves? Naaaaaaaaaw. Your argument makes no sense at all. It certainly doesn’t make sense attaching a highly successful US-funded film to what the protestor thinks a Scottish film industry requires to prosper – but one thing is certain, the industry can do without intemperate advocates firing scatter guns. And I speak as filmmaker who HAS made movies in Scotland. …in fact, make that, in a house on fire…. That doesn’t make sense either. A large portion of it was shot in Scotland, the rest shot in Ireland on location using Scottish actors flown there for the duration. In fact, a great deal of casting was done in Scotland. Some posts back I discerned the little you know of film activity is gleaned from a quick study.